Custom jewelry showcases in Fashion Gray laminate with matching bumpers. Flush base and toe kick. 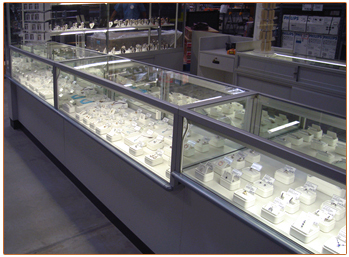 Utilizes different modular heights for showcase design and retail display efficiency.